Fuel prices were hiked for the 14th day in a row on Sunday, with unbranded petrol being sold at Rs 78.12 in Delhi, increased from Rs 77.97. Diesel prices in the national capital were also hiked today to Rs 69.06 from Rs 68.90 seen yesterday. According to data from Indian Oil, this was the case with other metros too. Petrol prices in Kolkata were hiked to Rs 80.76 per litre from Rs 80.61. The key transportation fuel was priced at Rs 85.93 for every litre in Mumbai, in comparison to Rs 85.78 on Saturday. A litre of petrol has been priced at Rs 81.11 in Chennai, up from 80.95 yesterday. 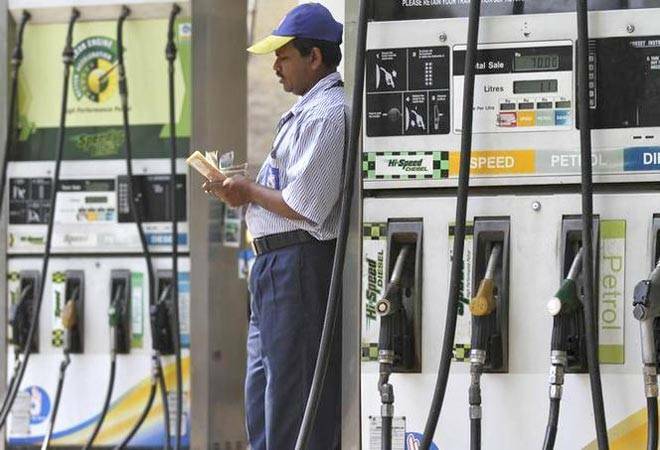 Diesel prices in Kolkata also went up to Rs 71.61 from Rs 71.45 per litre, whereas it was being sold at Rs 72.91 in Chennai after a hike of 17 paise. Similar to petrol prices, diesel prices were the highest in Mumbai on Sunday, with every litre being sold at Rs 73.53, instead of yesterday's Rs 73.36. The incessant rise in petrol and diesel prices has been mostly due to rise in crude oil prices and the high excise duty levied on transportation fuel. However, a $3-decline per barrel prices of international Brent crude oil has sparked expectations that fuel prices might come down in coming days.